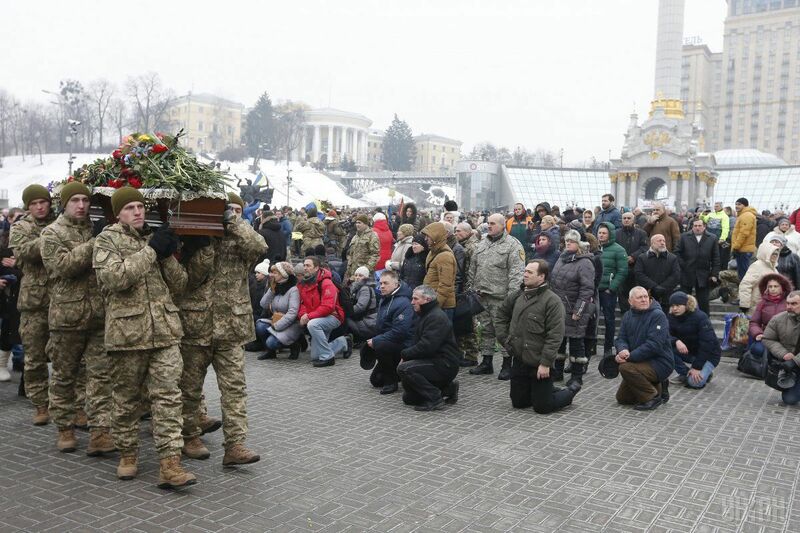 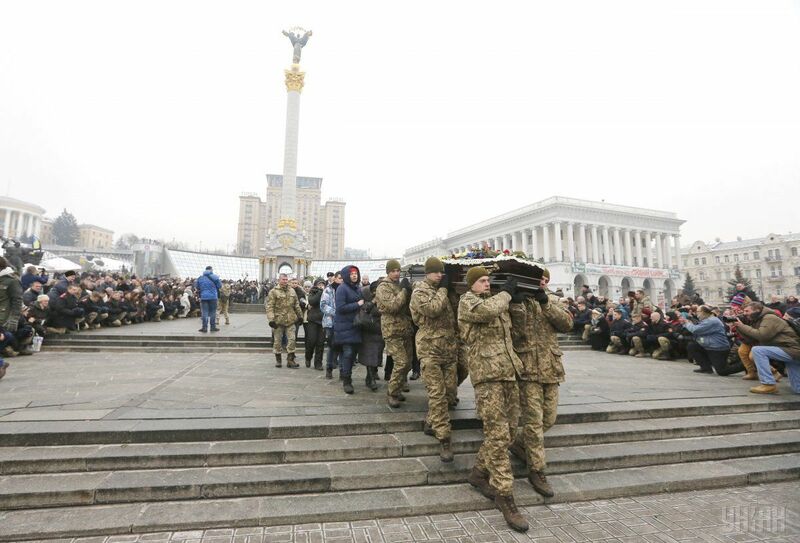 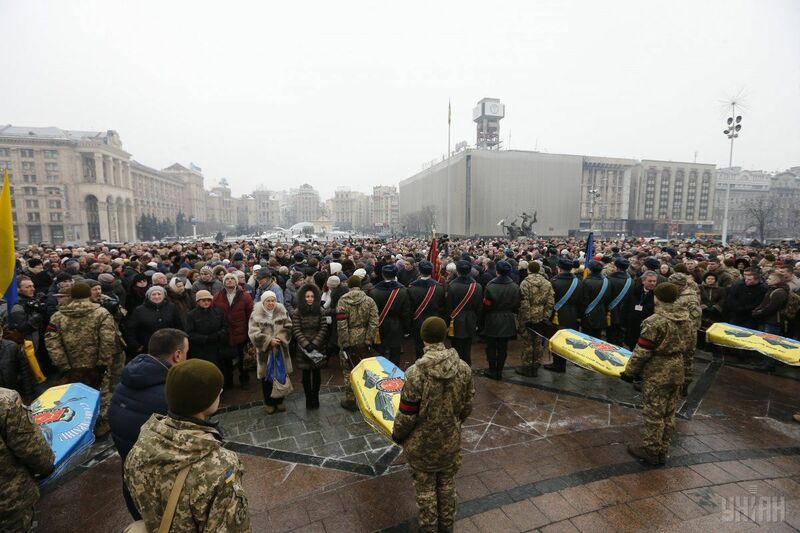 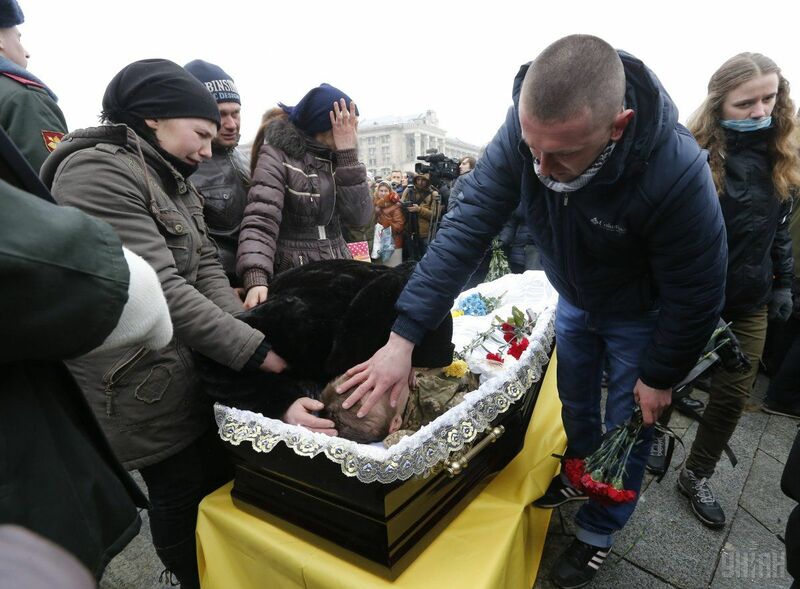 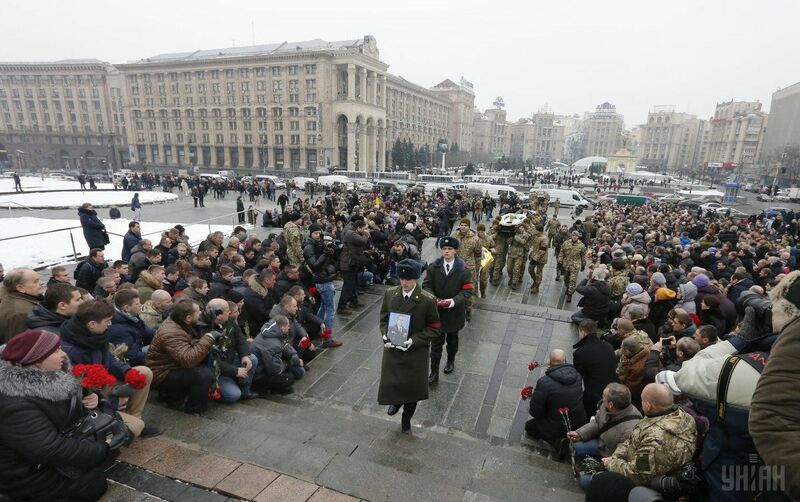 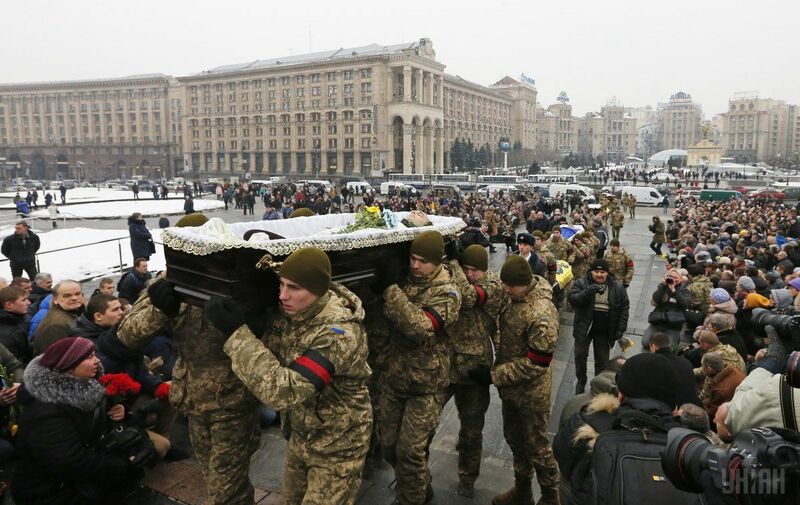 Today, February 1, the Ukrainians gather at the Maidan (Independence Square) to pay tribute to the Ukrainian troops, killed in the battle near Avdiyivka in Donbas, January 29. 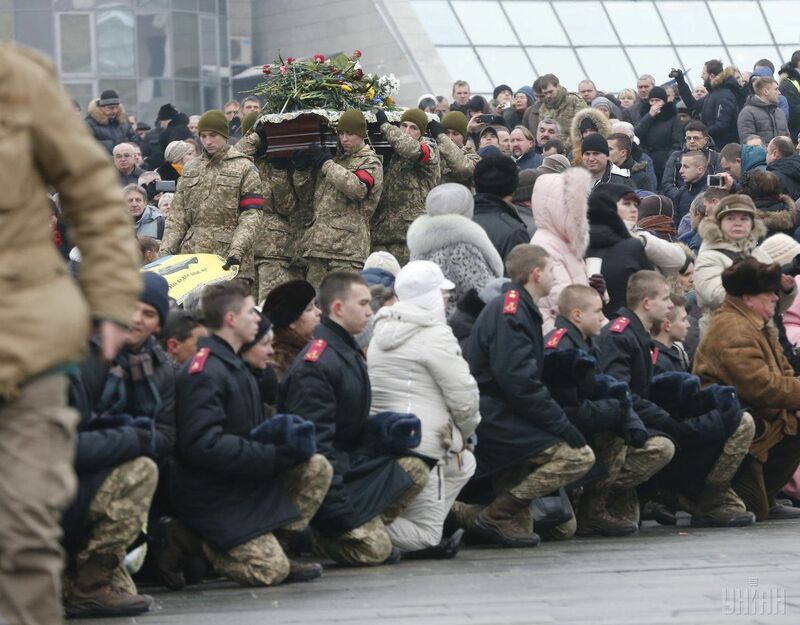 These were the four soldiers of the 72nd mechanized brigade: Captain Andriy Kizilo, Lance Sergeant Volodymyr Balchenko, Private Dmytro Overchenko and Sergeant Volodymyr Kryzhansky, according to RFE/RL. 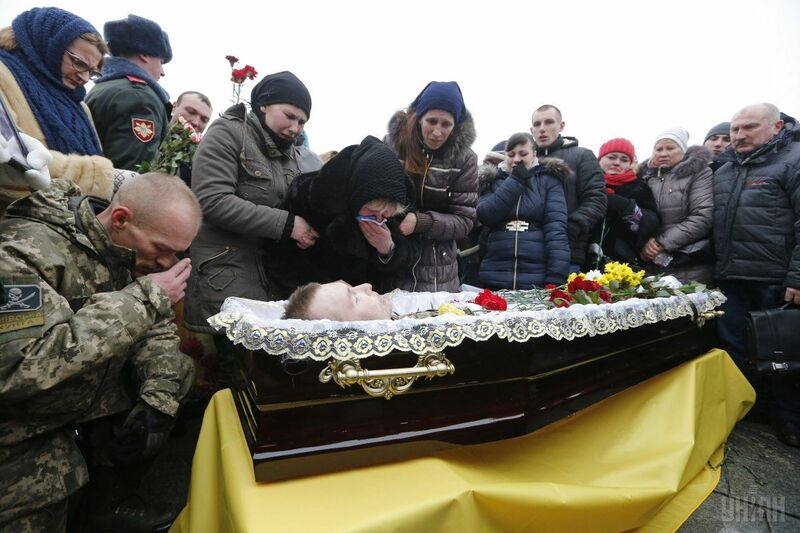 Read alsoOutburst of violence in Ukraine may be Trump’s first test with Putin - WPAs UNIAN reported earlier, from, the pro-Russian militants January 29 started intensive shellings of Ukrainian positions and residential areas of the town of Avdiyivka, refusing to agree to a ceasefire.